Non-metal ceramics is a perfect tool in terms of aesthetics and strenght. When installing these crowns on the tooth, a chemical bond is used to obtain a monolithic tooth -crown construction. The absence of a metal carcass provides refraction which is identical to the tissues of the tooth. In terms of durability, aesthetics and strength, non-metal ceramic crowns surpass the restoration of the "dead" teeth using dental filling materials and cores (dental crown buildup). This type of crowns can be installed on teeth as well as in case of a periodontal disease and allergy to metal. 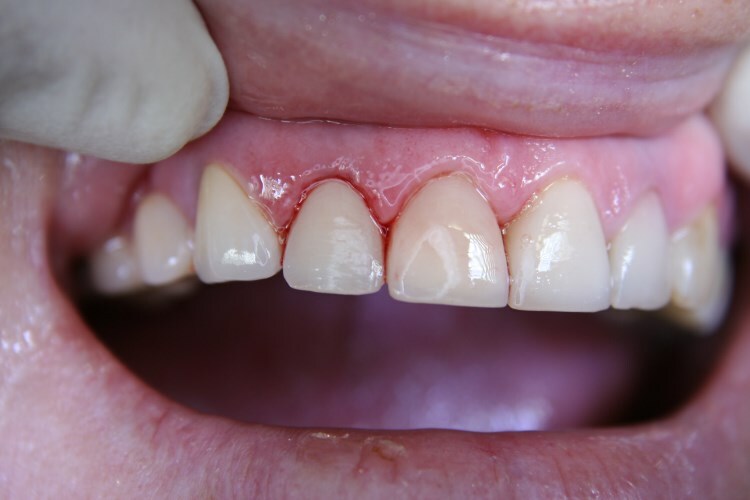 high dental abrasion and decrease in occlusion height. locating the ledge on which the crown is placed above the level of the gum which eliminates the gum trauma and prevents the development of gingivitis and localized periodontitis. As a result, the look and feel of the crown and adjacent tissues remain intact for much longer. installation of the final construction with composite materials and polishing the transition line between crown and tooth. How much does a ceramic crown cost? To get an accurate cost estimation of a ceramic E.max Press crown as well as the preceding dental treatment if necessary (root canal treatment, removal of the old crowns, caries treatment, etc. ), book a free consultation at iStomatolog.